Summer weather finally arrived with some sunshine, heat, humidity, and thunder storms instead of all day rain. You couldn’t call the conditions “settled,” but it was a dramatic change from the rest of year. 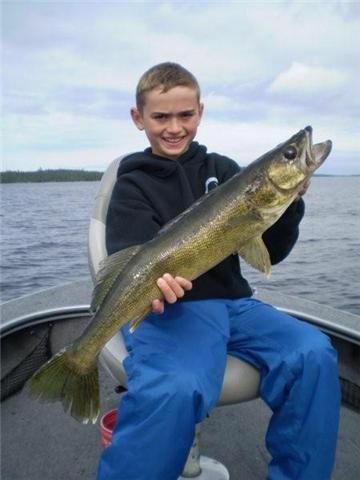 The walleyes responded positively to the conditions for the most part, but there are still groups of fish scattered across all depth zones. 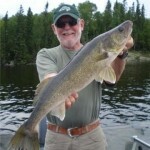 It was a very good week overall for walleye numbers and size. 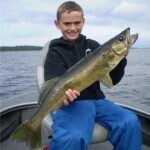 We had 29 walleyes over 27 in., including 6 – 28s, 2 – 29s, and 1 – 30.5. 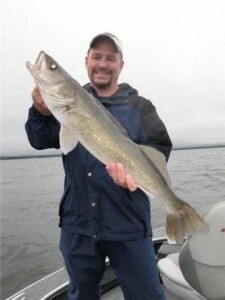 All but one of the 28+ walleyes were caught in water 20 – 35ft. deep, but many of the 25 – 27 in. 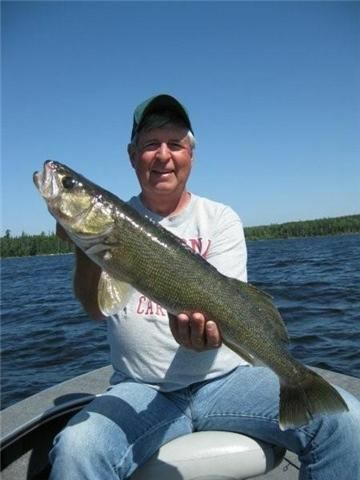 walleyes were caught along with good volume, on the front side of main lake cabbage weed beds, in 10 – 14ft. Walleye volume was excellent with guide reports averaging 45 over 18 in. per day. The highest daily total was 69. There were still times during the week when some bites were tough. The deeper water fish were more temperamental than the shallow ones. Versatility was always the key to consistent success. 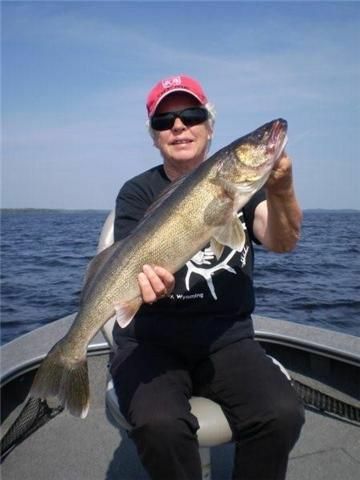 When the deep water walleyes were inactive, the options were to downsize to 1/8 oz jigs and fish very slowly or pack up and spot check other areas, including shallow main lake weedbeds. Not all cabbage beds were holding fish. 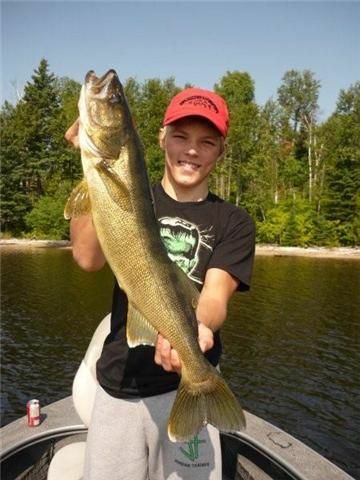 The best ones were exposed to main lake current and were near deeper main lake basins. There are many traditional summer areas that have just not produced this year. Many spots that would have had “A” ratings during previous seasons are virtually empty. Not just no big fish, but no fish. 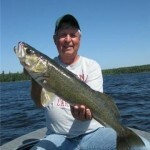 Big minnows on ¼ oz jigs were the preferred presentation. 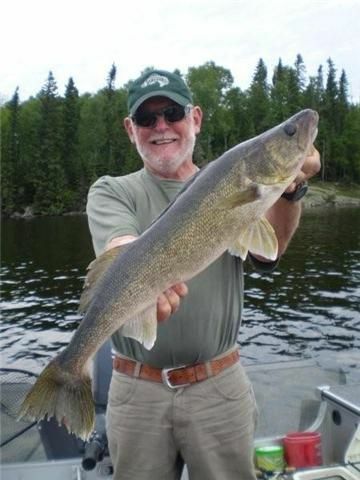 There were a couple of fish turned with bouncers and leeches and a few nice fish caught on Gulp Alive minnows, but that accounted for about 2% of the week’s catch. 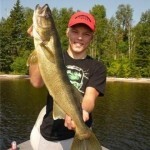 There were a couple of random bass and big pike caught, but they weren’t targeted or really worth talking about. I wasn’t there, but she told me she winked.